Are you stuck trying to find the right Birthday Card? Send a custom Photo Birthday Greeting Card from Ritzpix.com. Add the birthday boy or birthday girl’s photo to your chosen card layout and include your own personalized text for a greeting that’s just right! 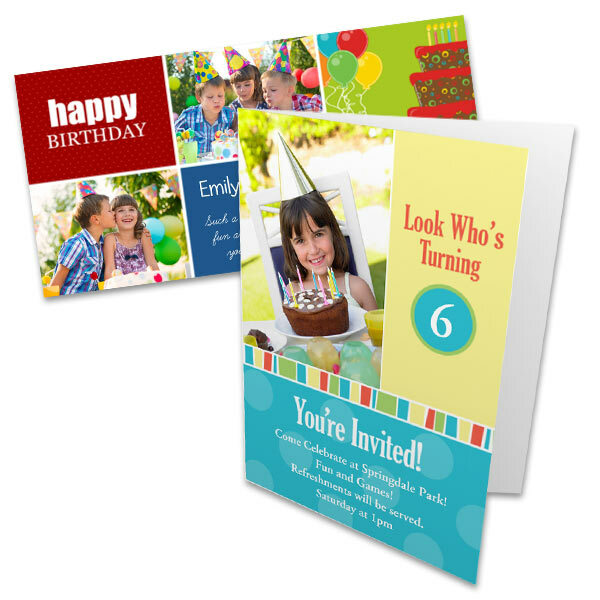 Not only do we offer several birthday card templates, you can choose from different card styles as well including custom folded cards and double sided cardstock printing. Design a photo birthday invitation! Add your own maps, addresses, photos and clip art to create a custom birthday invitation – Already themed for the party!